Even though we say it’s Canada’s Birthday, today is really celebrating the joining of the British colonies of Nova Scotia, New Brunswick and the Province of Canada together, July 1st 1867. The Province of Canada was then divided into two, Quebec and Ontario. Originally name Dominion Day, it was renamed in 1982 with the passing of the Canada Act. This holiday is considered unmoving, unless July 1st happens to be on a Sunday then the statutory holiday will be on July 2nd, even though festivities occur on the first regardless. Hope all you Canadians that we have will be attending some! I’ll be heading out to our local events today, but in case you are close, here is all the awesome info for celebrating at our Nations Capital! Nothing really beats being in Ottawa for Canada Day! The link also provides links to all kinds of different events for different locations, maybe you can find yours there! 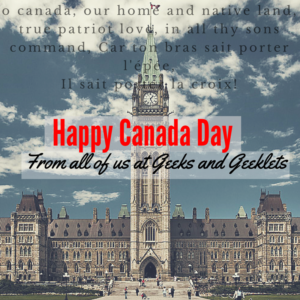 Link: Canada Day Fun! also here are some Canada Day Activities to do with your kids! 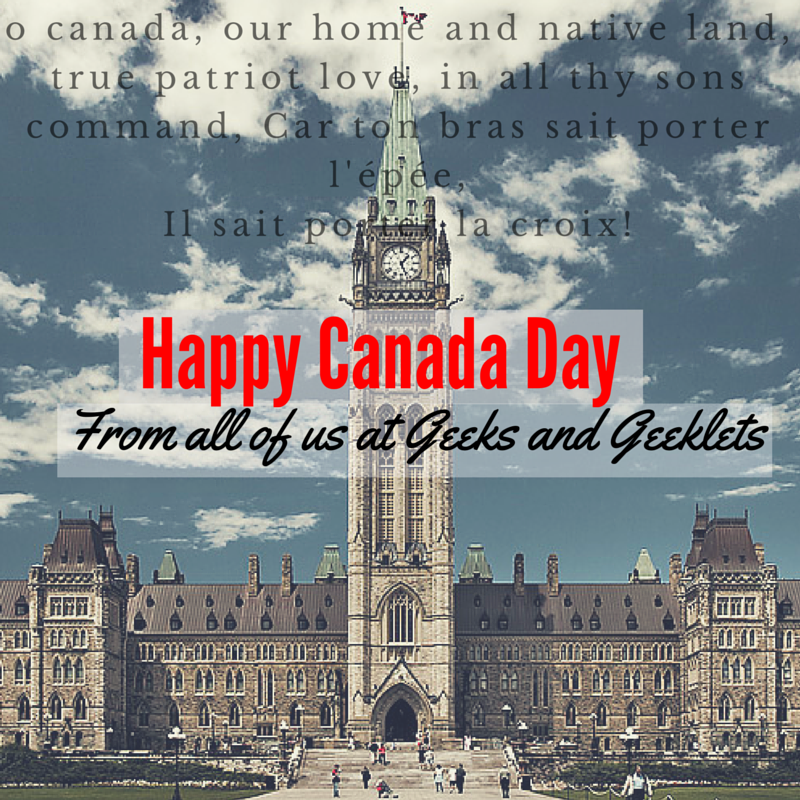 Hope all you geeky folk have a Great Canada Day and if you’re American, have an excuse to celebrate with your Canadian friends! I’m sure your boss will understand if you need Friday off for such a noble reason! ← New Podcast Episode! World of Darkness Session 23!